This drama will potray the live of Yoo Jung, also known as Jung Yi (Moon Geun Young), the first female potter in the Joseon Dynasty. After she was kidnapped to Japan during a war, she demonstrated the superiority of Joseon potters in Japan. 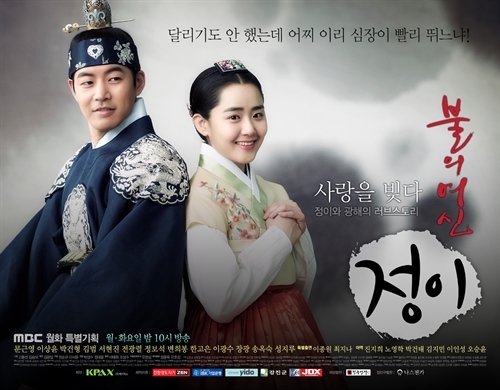 This drama also depicts the story of Prince Gwang Hae (Lee Sang Yoon), a sad prince whose life was like a wild storm. He had to let go of Jung Yi no matter how deep his love. He will go through a lonely struggle because he could not put out a flame in his heart toward a woman he loved.